I love green clay masks. I try to do a homemade facial at least once a week with a good, deep cleansing and a face mask. I find it really helps with excess oil and afterwards my skin feels super clean and smooth. 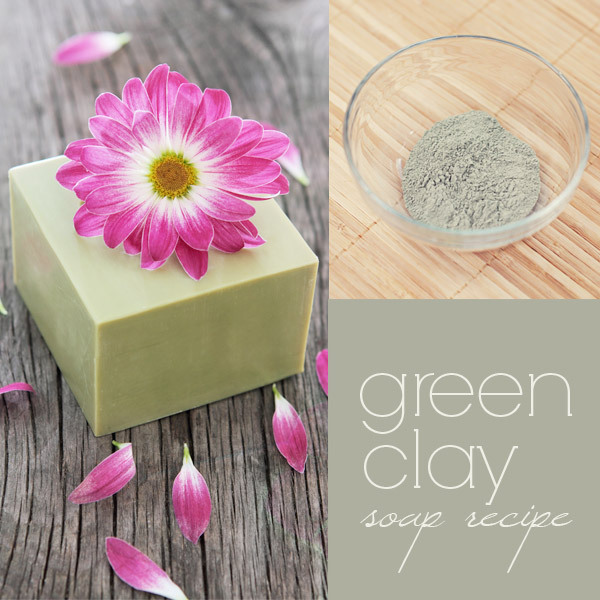 Green clay also helps with minor breakouts, redness and inflammation. It draws out toxins and impurities, and contains skin-nourishing minerals such as calcium, potassium, silicon and copper. After a few uses, my rosacea was greatly reduced and my skin looked much brighter and even-toned. I also have a small blemish on my nose from a broken capillary, and after a few weeks I noticed it shrunk and all but disappeared. 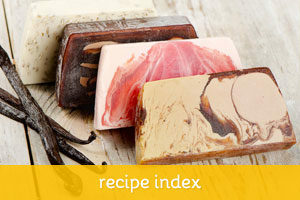 Run this recipe through your favourite lye calculator to get the exact measurement of lye, water and oils for the amount of soap you want to make (I use soapcalc). 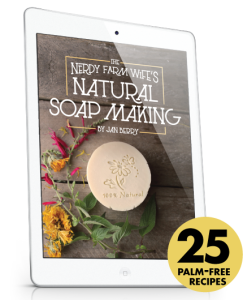 Before attempting any cold process recipe, make sure you read the “soap making basics” page and get yourself acquainted with the safety guidelines, checklist and basic tips. This is a fairly simple recipe. 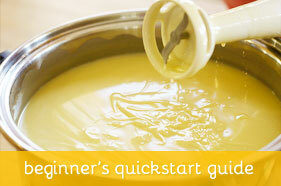 Follow the standard soap making procedures as explained on the link. 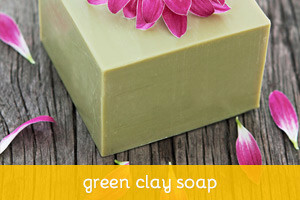 For more exfoliating soaps, add the clay directly to the soap mixture at very light trace and mix well to incorporate. You’ll end up with a soap full of beautiful, tiny specs. For even, uniform soaps, set aside a portion of the melted oils and add the clay, stirring well until there are no clumps or lumps. Then add this slurry to the soap mixture at light trace. Insulate overnight with an old towel or blanket, and unmold after 24 to 48 hours. Cut into pieces and let cure for about 4 weeks on a cooling rack. I love the silky lather of this soap. The blend of eucalyptus and lemongrass essential oils give it a nice, fresh scent that makes you feel refreshed and ultra clean.